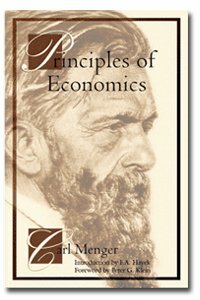 Carl Menger was the founder of the Austrian School of economics. It was this book that reformulated, and really rescued, economic science. Menger set out to elucidate the precise nature of economic value, and root economics firmly in the real-world actions of individual human beings. This text gives you a reference guide to the more intriguing, important, and confusing aspects of the economy, while omitting sophisticated mathematical economic theories. Pedestrian's Guide has been specifically designed for the beginners. Fascinating guide to the main ideas of economics, written for the non-economist. Callahan shows that good economics isn't about government planning or statistical models. It's about human beings and the choices they make in the real world.